A graduate of the Pennsylvania State University, Chris has over 30 years of experience resolving the challenges of designing in the Inland Empire and desert environment, and he is a CLARB Certified Landscape Architect. 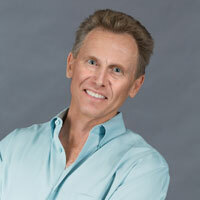 He founded Hermann Design Group in Palm Desert in 1995. During the span of nearly two decades, Chris has worked with the majority of the Cities in the Coachella Valley, as well as many of the large and small private developers who have operated in our valley and the Inland Empire. Chris is a licensed landscape architect in the states of California and Arizona. 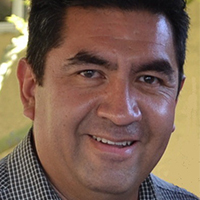 Jose is a graduate of Cal Poly Pomona with a degree in landscape architecture. He has been an integral part of Hermann Design group since 1999, and he heads up our production team out of the Riverside office. He has established a professional aptitude in landscape and irrigation design, and he is able to direct a project at all stages of development. His extensive experience in the preparation construction documents and field work experience allows for a complete design process from the schematic level to final design. Jose is bilingual, speaking both English and Spanish, making him invaluable in the field. Kristin is responsible for the firm’s financial, business and marketing management, and also heads the firm’s construction project management division. 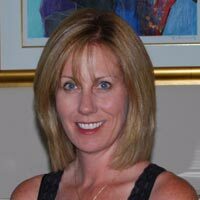 A graduate of Cal State San Bernardino, Kristin has spent the majority of her career in the Inland Empire and the Coachella Valley, working for various real estate development industry related firms such as Bank of America, The Keith Companies, AEI-CASC Engineering, and Fedderly & Associates. Opus joined the firm in 2010 after working for another local firm for over eight years. 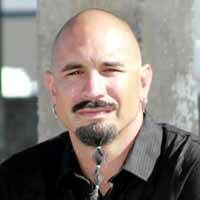 He is a graduate of Cal Poly San Luis Obispo with a degree in landscape architecture. In his tenure at Hermann Design Group, Opus has quickly earned additional responsibilities and leads the team on smaller projects. His understanding of plant material, maintenance and horticulture experience, as well as artistic talent, provides our design team with invaluable insight. Chris recently joined the Hermann Design team, and he is also a graduate of Cal Poly San Luis Obispo with a degree in landscape architecture. His passion for continuing education keep us on the forefront of technology, and he is well on his way to becoming a licensed landscape architect. Chris is bilingual and has landscape contracting experience creating a unique niche for his place on the team.